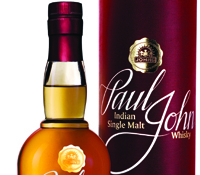 Ita��s been just two years since liquor baron Paul JohnA� launched his single malts in six different countries, including the United Kingdom, Germany, France, Denmark and Sweden. And already, theya��ve managed to gather 16 awards, including the Liquid Gold award by the legendary Jim Murray. John began with a biscuit factory, which he bought from an acquaintance. a�?It was a total disaster,a�? he admits, a�?I lost all the money I invested but I learned a lot about the world of business.a�? 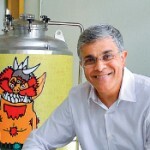 He set up John Distilleries in 1992, on Mysore Road, with production units across 18 locations countrywide. Also the man behind Big Banyan Wines, the luxurious Kumarakom Lake Resort and The Paul, Bangalore, he has much to oversee from his spotless 10th floor office, overlooking MG Road. Chef Abhijit Saha, known for modern European cuisine and Mediterranean flavours at city restaurants Caperberry and Fava, is taking regional Indian cuisine to Singapore, at his newly-launched eponymous Indian restaurant and bar Saha, in the trendy Duxton Hill area. Awarded Best Chef in India at the Indian Restaurant Congress and Awards in 2013, ita��s hard to think of a better representative to take Indian food out onto the world stage. a�?I like to define Modernist Indian cuisineA� as integrating regional food with new culinary techniques and non-traditional global ingredients,a�? Saha explains. Constantly offering patrons something new, the menu changes every two weeks, and the upcoming Diwali menu offers Singaporeans Southern flavours in the form of Mysore masala dosa, alongside drinks like mango rosemary martinis, and a a�?new agea�� pina colada, served inA� coconut shells. An early stint, a�?at the Orient Express Restaurant at Taj Palace Hotel in Delhi exposed me to high quality European cooking. Then in the US, studyingA� Oenology and Food Service Technology, I understood wines and kitchen design better,a�� he shares. Singapore, a business and tourist destination, offers the chef-entrepreneur, a�?one of the most exciting F&B markets in Asia,a�� but SahaA� plans to expandA� further, going beyond geographical boundaries. Chef-restaurateur Manu Chandra has become something of a food ambassador for the city, appearing in elite publications such as Italian winemaker Allegrinia��s AmarOne, which features just 10 chefs from around the world. 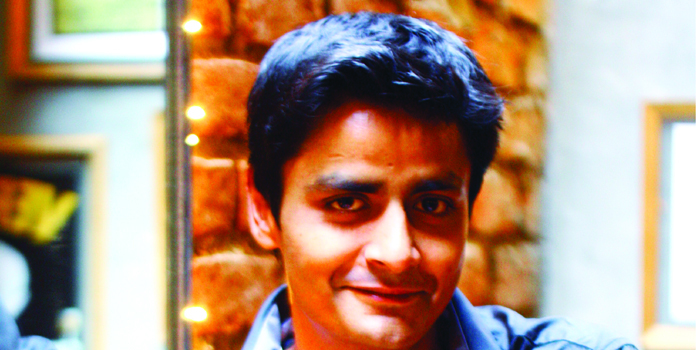 With successful, quirky gastropub Monkey Bar now in Delhi as well as Bangalore, all of his projects to date originated here. a�?This is a test-mark city. When you launch a place in Bangalore, you could tell in the first 20 days if it would be a success or not. In Mumbai or Delhi it takes longer,a�? he explains, adding that the consumers are price conscious and discerning. With Monkey Bar included in the Gold Standard list by Conde Nast Traveller international, and selected by Time Out London, Hong Kong and Singapore as one of the best bars to visit worldwide, Chandra says, a�?Sometimes the rest of the world recognises that Bangalore is on the global food map more than Bangalore does.a�? Pioneers of craft beers in the city, Geist began in Portland, Oregon when Narayan ManepallyA� teamed up with school mate Paul Chowdhury to produce artisanal beers. a�?After returning from America, Paul wanted to do something left of centre and I wanted out of the corporate rat race. Together we formed Geist,a�? says Manepally. 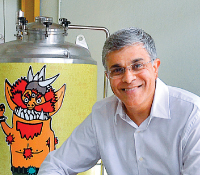 Now the proud owners of microbrewery Brewsky in JP Nagar, they have recreated the culture they experienced abroad. In fact, they stalled the brewpub initially to focus on bottling Geist beer, supplying it to niche outlets and stores. They will soon go nationwide, offering restaurants the opportunity to serve craft beer. a�?Places that want to be part of the craft-beer wave can buy it and serve it there by purchasing it directly from us,a�? Manepally shares. Run by three generations of Maiyas, Mavalli Tiffin Rooms, (MTR) is as iconic as the MTR packaged spices and instant mixes. Since selling MTR foods to a Norwegian company in 2007, Sadananda Maiya and his son Sudarshan have re-branded themselves, with a line of Maiya restaurants and ready-to-eat foods. TheirA� Jayanagar outlet is split over three floors, serves 4,500 coffees every day and has an a�?MTR classica�� menu, with new areas such as the Silver Thali Dining Experience. 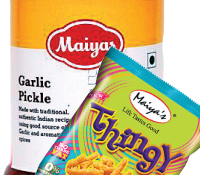 Maiyaa��s branded snacks and packaged foods are now available in over 10 countries worldwide, including the US, UK, Australia and the Middle East. 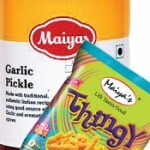 a�?WeA� preserve South Indian recipes that were getting lost through the generations, things that my Grandmother used to make,a�? shares Sudarshan. a�?Like kodubale, ita��s popular in Japan even if they cana��t pronounce it,a�? he jokes. a�?Many young people going abroad wanted South Indian food outside. We responded to that. Now, you can get a taste of Karnataka the world over,a�? he concludes.